Forget Yammer, forget Asana. In April, Y Combinator grad Siasto launched a streamlined project management solution for teams and small businesses that syncs with Google Apps and allows users to create tasks, events, and documents all from the inbox. Since then, the project management and collaboration startup has continued making inroads against competitors like Yammer, Basecamp, and good old email. While there’s been quite a bit of excitement around Yammer of late (really, at Yammer) thanks to a $1.2 billion acquisition from Microsoft, what tends to get lost is that Yammer is just one, social component of a much larger — and more essential Holy Grail for enterprise: Collaborative project management done right. It’s a quest that has rebuffed many-an-ambitious-startup. 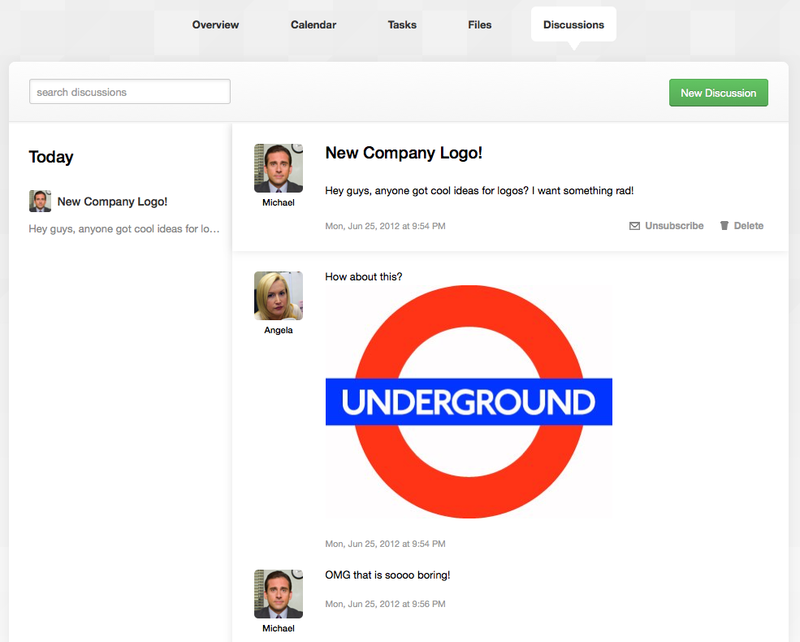 Basecamp and Asana have been at it themselves for awhile now. But Siasto, which is sometimes called “The Pinterest For Work,” is showing promise, finding traction among teams and small businesses — from banks and consultants to consumer web startups. Siasto founder Niccolo Pantucci tells us that, in just two months, its users have created hundreds of thousands of tasks, events, and projects. Today, Siasto has over 5,000 teams signed up and is seeing month-over-month revenue growth of more than 100 percent. It’s also found some fans in the Google Apps Marketplace, where hordes of businesses are migrating their email and cloud collaboration, as it was recently a featured app and currently is one of the most-installed apps in the store. As Eric wrote in April, this is the key to Siasto’s differentiation — how it’s been designing its integration with Google, like adding a Gmail contextual gadget, which allows users to turn their emails into tasks, events, or documents with one click. Now, Google Docs are visible within Siasto so that users can open their Google documents without leaving the app and the team has added two-way sync with Google Calendar, so that you can put items from Siasto into GCal and vice versa, encompassing both tasks and events. Another big addition to the Siasto feature set is “Discussions,” which allows team members to have conversations around content all within Siasto. Precisely where the startup begins to sneak into Yammer’s territory, hoping to eat its lunch. With Discussions, teams can check back later, view what they had initially agreed on, and just generally have one place where their work-related conversations live. For those who are already using Dropbox and Gmail (or Google Docs and GCal), Siasto has a user experience that is both comparable and complementary, both in UI and UX. Pantucci said that people are tired of having so many logins and passwords, and that they’ve made sure to ease this pain as much as possible, allowing companies to work with and collaborate around their existing tools. At launch, Eric said that, “if this were The Last Crusade, [Siasto] would be somewhere inside the temple, crossing the bridge of faith,” and as it continues to add integrations with the tools enterprise and startup teams are already using, it inches closer to the chalice. And judging by the traction its seen over a short period of time — going from 0 to 5,000 teams in 60 days — people are still just as restless as ever to find a project management tool that actually works, yet doesn’t get in the way. As for what’s next? Pantucci says that users can expect a decidedly “mobile future.” In other words, iOS and Android apps will be on the way in the next few months. More on Siasto here, and Eric’s coverage of the startup’s launch here.